If your brakes start to feel spongy, the root cause may be the power brake booster. Test your power brake booster to see if it needs replacement. Under normal operation, most car owners never consider the inner workings of the brake system. However, when you press that brake pedal and you notice the car is not slowing, that tends to grab your attention rather quickly. We all understand that the brake system is essential for the safe operation of any vehicle, but what is not commonly known is that a leading culprit of brake system failure in older cars, trucks, and SUV’s is the power brake booster. The power brake booster is used to supply brake fluid throughout the brake lines, which permits the system to work effectively. If the brake booster fails, it can lead to a soft brake pedal or even complete brake system failure. In the next few paragraphs, we’ll explain how this critical component works within the brake system, and a few pointers to help you diagnose and determine if the power brake booster is the root source of your problem. How Does the Power Brake Booster Work? In order to understand how the power brake booster fits into the modern braking system, it’s critical to explain how brakes work. To safely stop your vehicle, three scientific principles need to occur — leverage, hydraulic pressure, and friction. Each of these actions must work together in tandem to stop the vehicle. The brake booster helps to supply the correct hydraulic pressure in order for the brake calipers to apply pressure to the brake rotor and create friction established by the application of the brake pads to the rotor. The power brake booster also helps to provide the force needed for the right amount of pressure to create an efficient application of force. It works by drawing power from a vacuum that is created by the engine during operation. This is why power brakes only work while the engine is started. The vacuum powers an internal bladder, which supplies the force to the hydraulic brake lines. If the vacuum is leaking, damaged, or the internal components within the power brake booster are damaged, it will not work correctly. With your engine turned off, pump the brake pedal several times. This will ensure that there is no vacuum remaining inside the brake booster. Press the brake pedal down hard one final time and leave your foot on the brake pedal as you start the engine. Do not release your foot from the brake pedal during this process. If the brake booster is working correctly, you’ll feel a slight give in the pedal as the engine turns over. This is because the vacuum in the engine is supplying pressure to the brake booster. 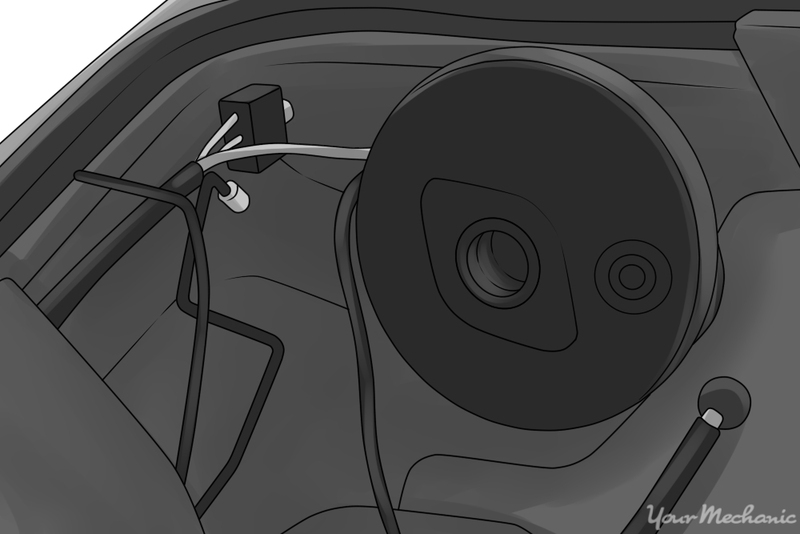 Method 2:If you complete this step and the brake pedal does not move, it is an indicator that the power brake booster is not receiving vacuum pressure. This is when you should attempt a secondary power brake booster test. Let the engine run for a few minutes. Turn the engine off, then repeatedly press the brake pedal slowly. When you pump it the first time the pedal should be very ‘low’— meaning not much pressure resistance. As you pump the pedal, the pressure should become firmer, which will indicate that the brake booster is not leaking. Inspect the Booster Check Valve: The check valve is located on the power brake booster itself. To locate it, consult your vehicle repair manual. You’ll want to disconnect the vacuum hose as it connects to the engine’s intake manifold. Make sure to disconnect it on the manifold and not the brake booster. If it’s working correctly, air should not flow with pressure applied. If air flows in both directions or you can’t blow air through, the valve is damaged, and the power brake booster will require replacement. Verify Vacuum: In order for a power brake booster to work, a minimum amount of pressure is required. You can test the vacuum and verify that there is a minimum of at least 18 inches of vacuum pressure and no vacuum leaks. If you don’t feel comfortable completing these tests, it might be a good idea to have a professional mechanic come to your location to complete an onsite brake system inspection. It is not recommended to drive a vehicle to a repair facility if you are experiencing brake system problems, so a mobile mechanic visit is a smart and safe idea. Q: My brakes are squeaking, dealer said they can check if a service would be due for $140 or to replace all 4 completely it would cost $740.